So as you’ve probably heard, ketogenic diet is becoming really popular. Basically, it’s a very low-carb diet, which turns the body into a fat-burning machine. It has many weight loss, performance, and health benefits. 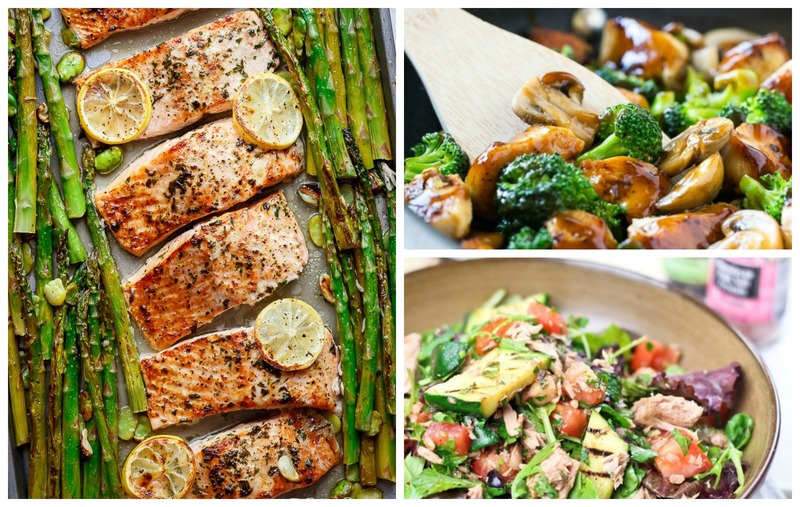 If you’re looking for a low-carb and quick dinner menu, consider working these ketogenic recipes into your next meal plan. It really tastes great and will help you shed those extra pounds. Also, these recipes are so easy to prepare, so you’ll have more time to enjoy the night. Check them out below and don’t forget to leave a comment on which one is your favorite. For those of you who love tuna, here’s another awesome way to work it into your meal plan. Add some fresh herbs and all kind of greens – whatever you want, and you’ll have a quick, healthy, amazing meal. I’m sure you’re going to love these! A healthier version of your favorite meal. It has fresh zucchini, tomatoes, topped with pepperoni and mozzarella baked together for awesomeness baked into every bite. This easy, creamy low carb broccoli cheese soup is really easy. It’s also gluten-free, nutritious, and a great way to get your kids to eat broccoli. This cauliflower dish is a really good substitute for pasta and rice. It’s tasty, low-carb and so easy to combine with any ingredients. I have to admit, this is my favorite dish. Another quick and easy recipe to make. We suggest you double the recipe and reheat them the next day for less work with more healthy fast dinners. Cheese lovers rejoice! Here’s something that you would love though even you’re on a diet. These taco cups appetizers are pretty tasty and low-carb. It will be a sure hit to your table. The chicken and broccoli you can get from restaurants is delicious but often too heavy and salty. This copycat recipe fixes that without losing the main flavors. It’s also very quick and easy to make. Who wouldn’t love this salmon dish? Flavored with lemon, garlic, and parsley, this lean protein fits nicely into a healthy meal plan. Plus with the added asparagus, you can get tons of vitamins as well. Win-win! If you’ve just started your diet meal plan or you just wanna eat healthier, these delicious ketogenic recipes will be a great help in achieving your goal. Include these on your menu list and spend less time in the kitchen. They’re all super simple, healthy, and taste great! So give them a try and let me know what you think!